Michael Earl Schoeffling was born on 10 December 1960, in Wilkes-Barre, Pennsylvania USA, and is a former actor, wrestler and male model, perhaps best known for his roles in the films “Sixteen Candles”, “Vision Quest” and “Wild Hearts Can’t Be Broken”. 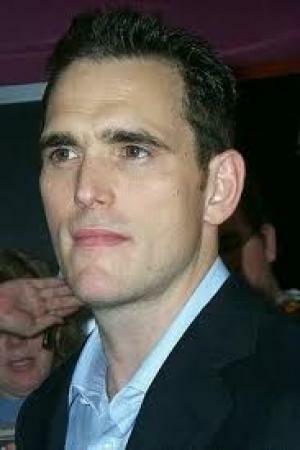 So just how rich is Michael Schoeffling at present? According to sources, Schoeffling has established a net worth over $500,000, as of early 2017. His wealth has largely been earned during his acting career from 1984-91. Schoeffling grew up in Southern New Jersey along with his two siblings, where he attended Cherokee High School. He later enrolled at Temple University in Philadelphia, majoring in Liberal Arts, and where he became an accomplished wrestler, winning medals in various national and international tournaments, among them a gold medal for the USA in freestyle wrestling, being a member of the National Junior Wrestling Team in the 1978 held in Germany. He later took a year and a half to travel across Europe, and in the early ’80s began to pursue a career in modeling. He began working for GQ modeling agency, and took acting classes at Lee Strassberg Theatre Institute in Manhattan, which were paid by now-famous photographer Bruce Weber. Being a professional model enabled Schoeffling to earn good money, to travel a lot and, most importantly, it paved his way to a career in film. His first major film role came in 1984, with the coming of the teenage comedy “Sixteen Candles”, which became an instant hit; he played the lead role of Jake Ryan, a popular and attractive high school athlete, which gave Schoeffling a career-launching success, earning his first taste of fame and gathering a large fan base. Aside from boosting his popularity, his involvement in the film improved his net worth significantly. The following year he landed the role of wrestler Kuch in the coming-of-age drama film “Vision Quest”, based on the same-titled novel by Terry Davis. The role reinforced his popularity in the acting world, and provided him with a decent income. Opportunities continued to come Schoeffling’s way and he would appear in a number of movies over the following years. He played Matt in the family drama film “Sylvester”, and Hypolite Leger in the historical drama “Belizaire the Cajun”. He then starred as Corey in the action film “Let’s Get Harry”, and portrayed Jan in the comedy/drama “Slaves of New York”. In 1990 the actor was cast as Joe Perretti in the comedy/drama film “Mermaids”, and the following year had the lead role of Al Carver in the film “Wild Hearts Can’t Be Broken”, earning him critical acclaim, and significantly contributing to his net worth. It was also the role with which he concluded his acting career. Upon retiring, Schoeffling moved to northeastern Pennsylvania with his family, where he started a business creating and selling handcrafted furniture. When it comes to his personal life, Schoeffling is married to Valerie C. Robinson, a former model and actress. The couple has two children together. Movies Sixteen Candles" (1984), "Vision Quest" (1985), "Wild Hearts Can’t Be Broken" (1991), "Slaves of New York", "Belizaire the Cajun", "Let's Get Harry", "Slaves of New York"
1 Actors spend most of their time out of work, so I actually spend more time making furniture. The thing about furniture that's much better than acting is that it's just me. There's no director, no script - the concept is me, unless a client wants something. 2 In film work, you do the best you can under the given circumstances, but you don't have control. At least, I don't. 1 (1990s) Has a business building and selling handcrafted furniture in northeastern Pennsylvania. 3 Undecided as to his career, he moved to Europe and traveled throughout the continent for the next year & half. In the early 80s, he began modeling for GQ. Photographer Bruce Weber paid for his acting classes at Lee Strasberg Theatre Institute in Manhattan. Besides income, modeling brought him worldwide travel for the next 2 yrs, as well as the attention of casting directors. Modeling not only altered Michael's work, but his personal life. He met his wife, Valerie Robinson, a model at the same agency, Zoli. 4 An accomplished youth and collegiate wrestler, Michael won medals in various national and international tournaments. He won a gold for the US in freestyle wrestling, as a member of the National Junior Wrestling Team in the European Championships held in Munich, Germany 1978. His considerable wrestling skills were downplayed as Kuch in Vision Quest, where he wrestled Matthew Modine, his teammate in the movie. 6 Graduated from Cherokee High School in New Jersey. Majored in liberal arts at Temple University and continued his wrestling which he started in his youth. 7 Studied at the Lee Strasberg Institute. 8 Was a member of the US Jr. Wrestling Team. Won a gold medal at the European Championships in Germany. 11 Grew up in Southern New Jersey.